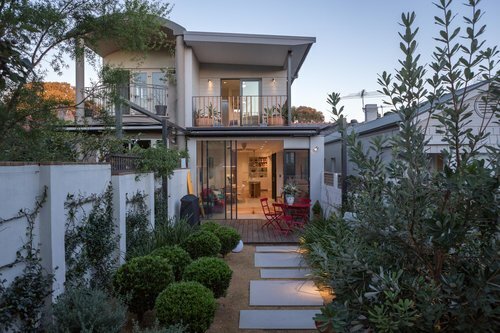 A single storey Victorian terrace is reborn for a larger and richer life! Making the most of its beach side location, this family home will be adapted to connect inside to out, and bring light into all rooms. An update to this Sydney school home will honour its past while improving its future. A sustainable renovation to this heritage home preserves the best for a great future. The clients’ key desire was to rationalise and open up their inner-city terrace home with a strong focus on materials. This beautiful federation home has been brought into the 21st Century! The design of the pavilion and its "verandahs" was fine tuned to optimise the different orientations. Raising the floor level & adapting the pitch of the living room roof resulted in an elegant design resolution.